I want to stretch my reading horizons for 2018. I believe for each year of reading you should add something different to your reading life. This year, I have decided to read more fiction from around the world. First up in this reading endeavor is The Resurrection of Frederic DeBreu by England’s Alex Marsh. Marsh has written an interesting novel about Englishman named Ted Prescott who arrives in a small French town, Mailliot Le Bois, determined to find out about his past. However, he has been discovered as one who can sing songs by a local great, Frederic DeBreu. As a result, Ted is coerced into taking on a persona to increase tourism for the town. However, the deception comes at a price and reveals what it costs Ted in terms of his family. 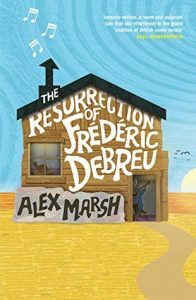 The Resurrection of Frederic Debreu was a breezy, gentle novel. I did find it a little verbose throughout the novel. But, I was entertained enough to keep reading. Ted Prescott reminded me of Ove from A Man Called Ove. 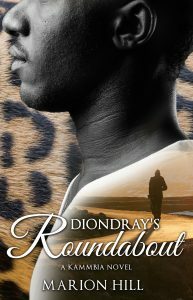 I had a decent reading experience and glad I made this novel my first excursion into world fiction for the year.